[Go Back] [New Search] Details for Kotozuka Eiichi (1906-) "Osaka Castle"
Condition Very good ... Toned. Slight foxing. Top corners are pasted on a presentation paper. 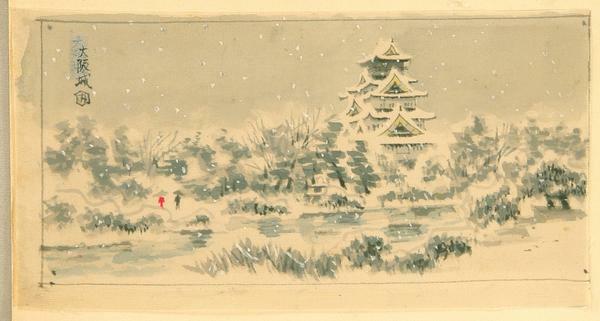 Notes: A very fine original painting of Osaka castle in a snowy day. This design was published later as a print.